tapestry316: Welcome to National Adoption Month. 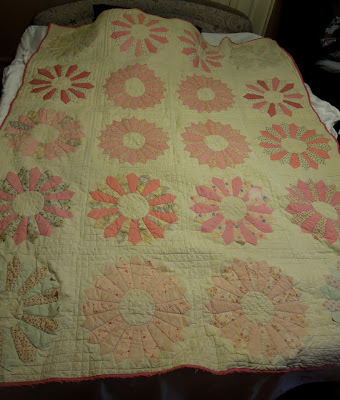 One of my grandmother's patchwork quilts. 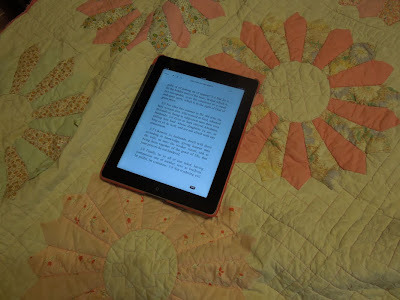 Just because the words of the King James Bible are on a modern iPad which is sitting on top of a cotton quilt made in the early 1900s, does not mean that all of these things don't often belong together in the same room at the same time. Adoption, like patchwork, sounds simple. If you are close, however, you will see some unraveled edges, some threadbare corners, some awkward combinations... Some cries for help. Sometimes it seems like the path is impossible, the shoes are too big, and the patchwork is too threadbare. It is true - it is too hard... Unless you cry "Abba, Father!" For his Spirit joins with our spirit to affirm that we are God's children. Then "all things are possible" (Philippians 4:13) and "peace beyond comprehension" can be ours (Philippians 4:6-7), because He who "began a good work" will be faithful to complete it (Philippians 1:6)! Do you know an adoptive family? a foster family? a patchwork family? Maybe it's time to see if you can help with a few unraveled edges. Talking to Abba about a few people I know. What a great comparison :) A couple I am friends with are looking into adoption. They have 4 wonderful children of their own and want to open their home to help other children...I think it's so great! How wonderful, Edi! 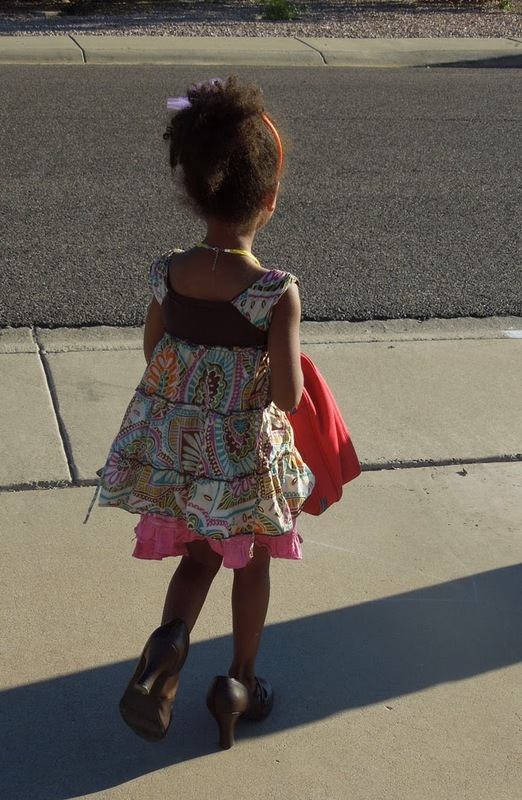 Adoption is an amazing process - with both blessings off the beautiful chart and heartache unimaginable. Praying for your friends! There are 163 million orphans in the world today. What a staggering number! I know many people who are adopted, both grown up and children. I was adopted as well. Thank you for sharing! 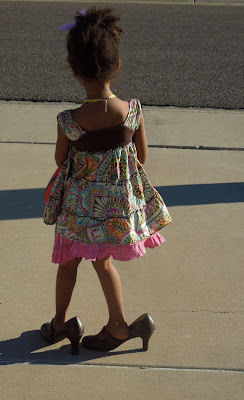 It is staggering, but it is encouraging to see more and more people my daughter's age adopting. Cute photo of Sophia! Wonderful post Kathy! My only experience with adoption is of furry kids but they need to be adopted too! Thank you! Yes, they do. Beautiful comparison Kathy. Sophia is adorable by the way. Thank you! That is such an important thing to do for these children, too! Kathy, this is an AWESOME post! Love the definitions, and that "we can do all things thru Christ!" also love that you encouraged readers to help out a family that might need it! Bravo!!! P.S. Our niece has three biological and four adopted children . One from Korea, one from China, one from Jamaica, and another from the Caribbean somewhere! All happy kids! Thank you! There are lots of adopted children in my son-in-law's family. LOL - we look like an international gathering when everyone shows up. A beautiful post, Kathy! And I love your analogies. Your posts are what we call homilies in my church -- reflections on the Scriptures as they apply to everyday life. Thank you! I am honored by your comparison to homilies - such a blessing!